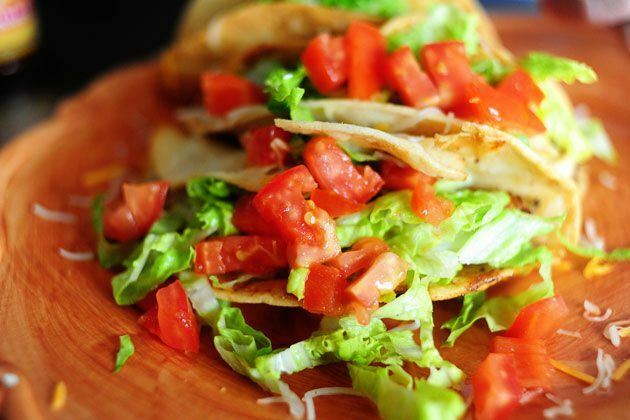 These crunchy chicken tacos are perfect for your next Taco Tuesday, and sure to please a hungry crowd of family and friends. In my house EVERY Tuesday is Taco Tuesday! 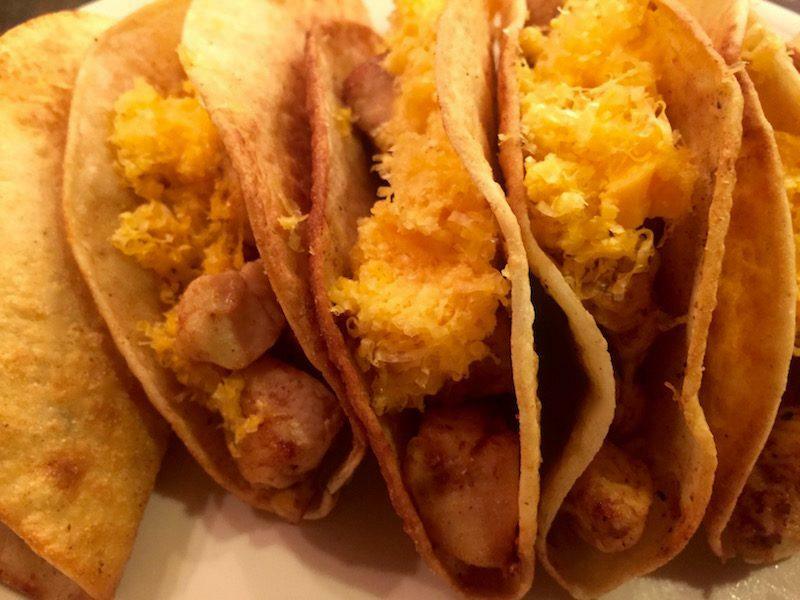 To keep it fun, I like to try different variations of tacos, fusing different cultures in between tortillas. 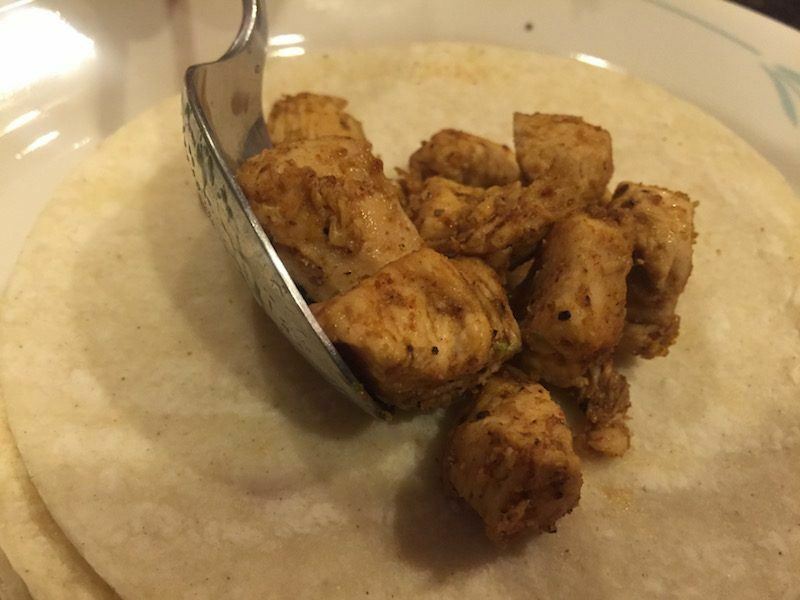 I caught an episode of Pioneer Woman (links to original recipe) recently where she was making chicken tacos with her brother and I was really intrigued by the technique she used to fry the tacos, so I decided to give it a try myself. I'm not one for the typical ground beef in a generic boxed taco shell, so this recipe was perfect! The ingredients are super simple and most of the things I had in my fridge already, so this all came together in about 28 minutes from start to finish. 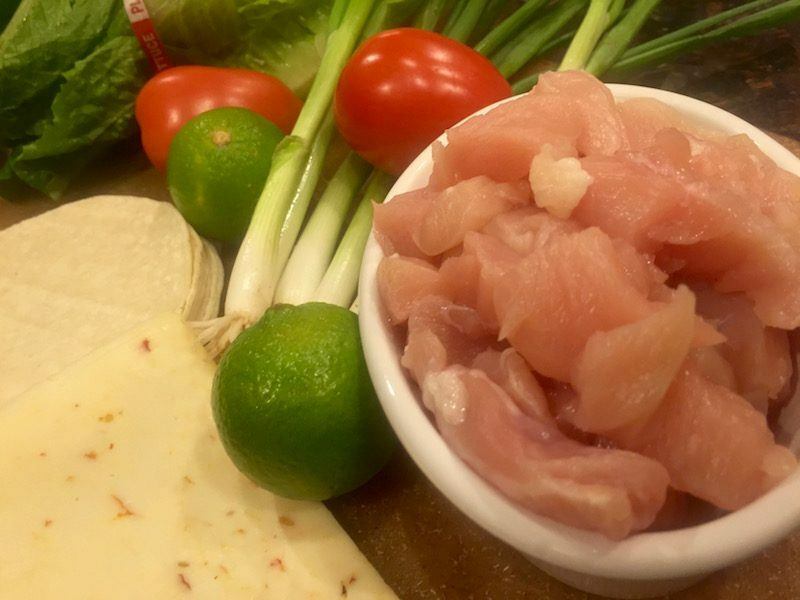 Start by dicing your chicken breast into small chunks. Doesn't really matter what size, but try to keep them consistent for even cooking. 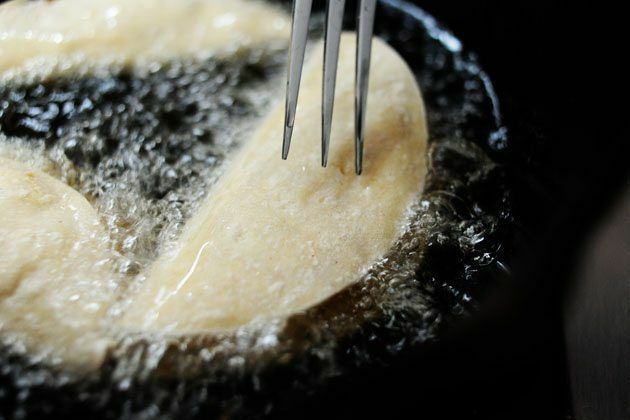 Drizzle a small amount of canola oil in a pan and turn the heat up to medium-high. 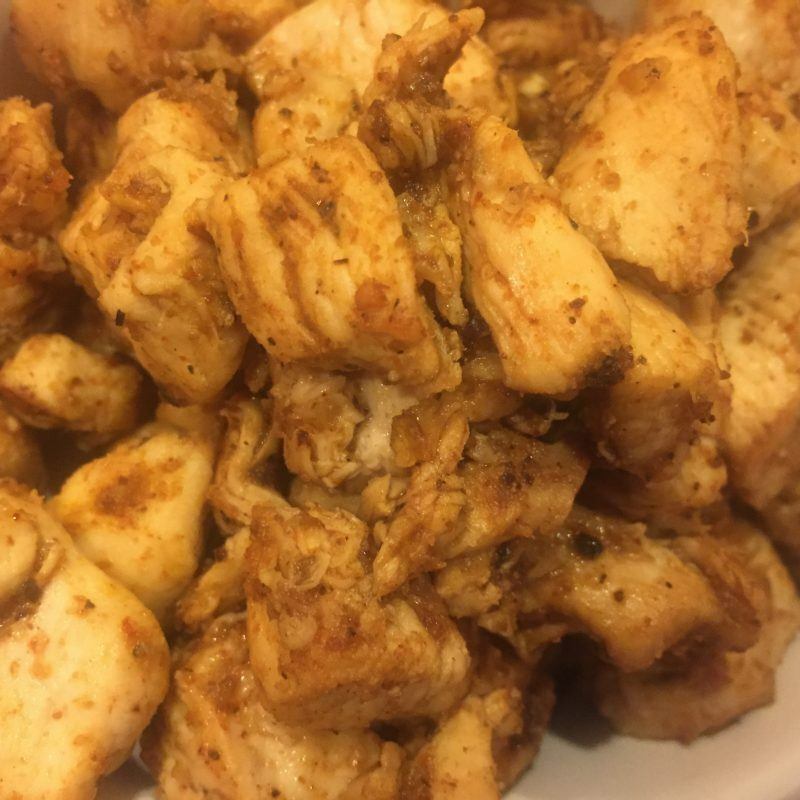 I enjoy playing with spices so I seasoned my chicken with salt, pepper, cumin, chili powder, onion powder and garlic powder. You can buy a packet of taco seasoning from the store and be just fine here, but if you have the time, creating a fresh spice mixture will give you optimum flavor, and that's what we want! Add the chicken to the hot pan and cook until chicken is done. The meat should be juicy and white inside. 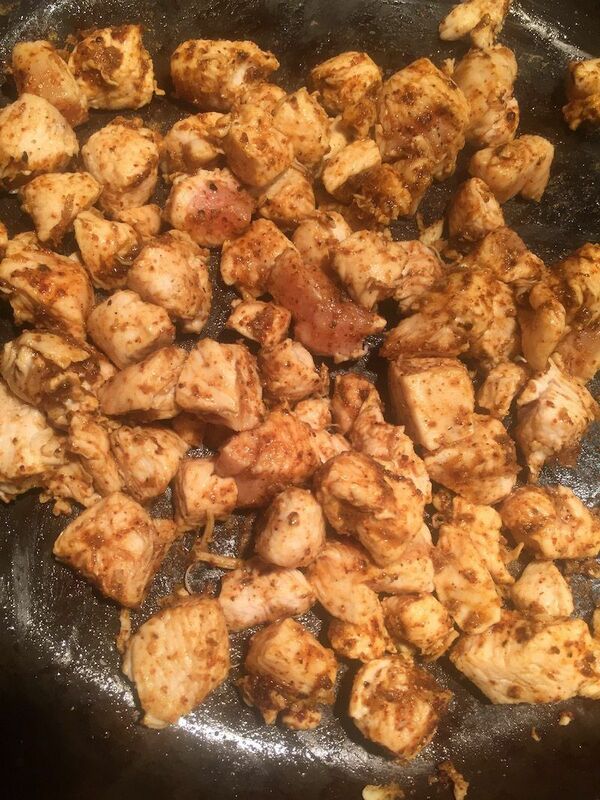 Put about 2 spoonfuls of chicken into each tortilla. You don't want to put too much because the meat will fall out. This is about the amount of chicken you want in each tortilla. 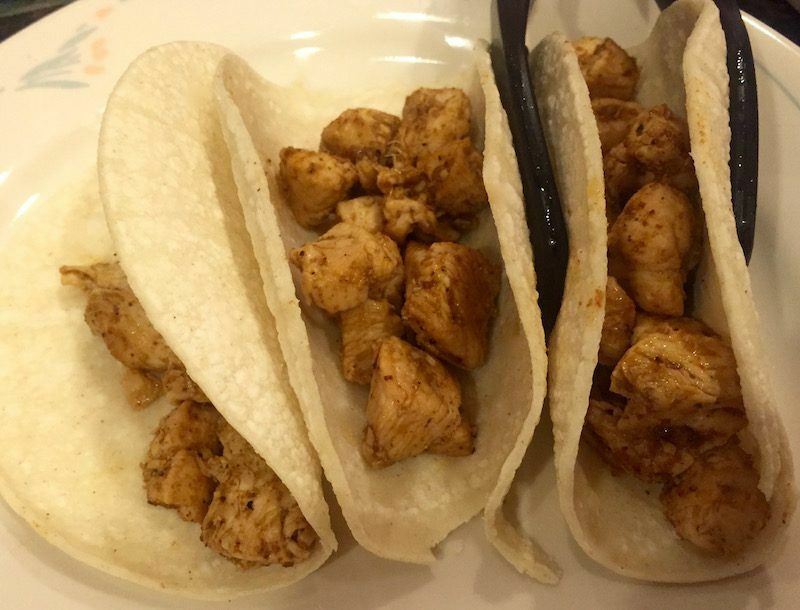 Since the chicken is already cooked, you could always add more once you fry the tacos. Add about 3 tablespoons of canola oil into a pan and heat the oil on medium. Once the oil is hot, add in your tacos. 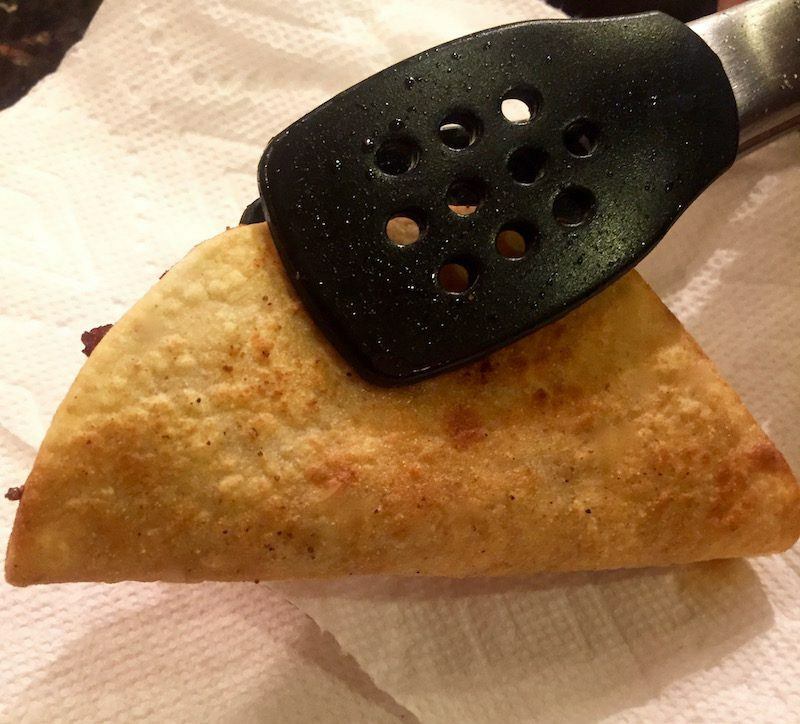 I used a fork to help me keep the tortilla in place. 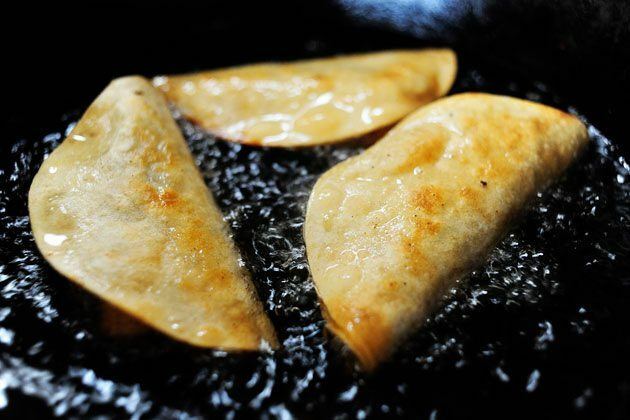 Once the tortilla gets crispy and golden brown flip the taco over to fry the other side. 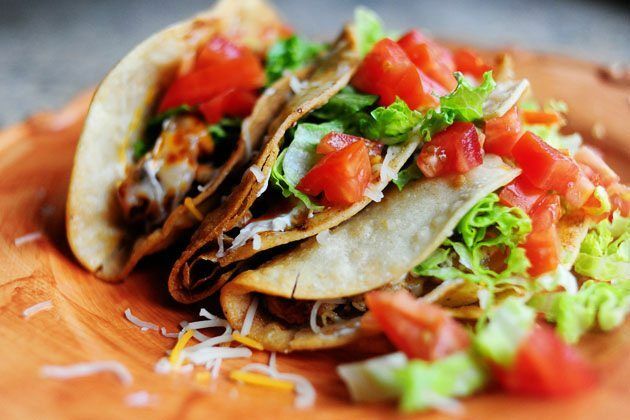 Once both sides are nice and crispy, take the tacos out. 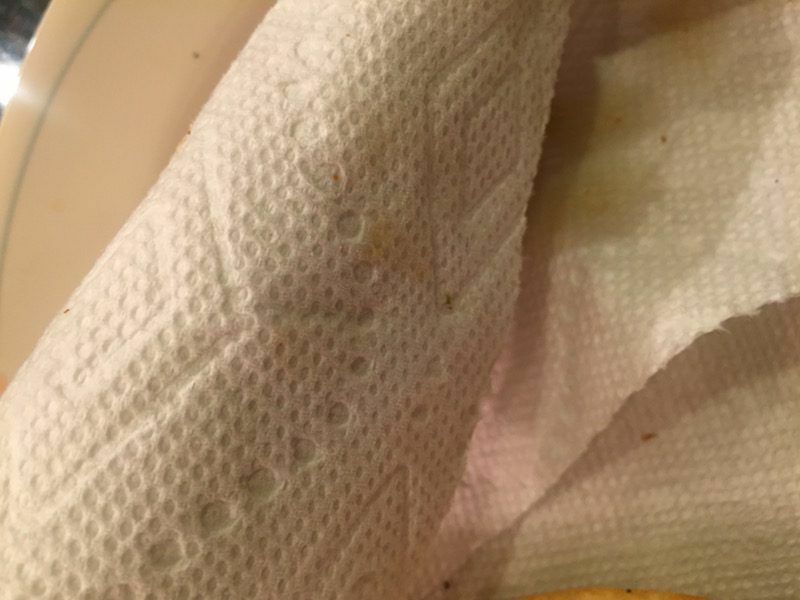 You'll want to have 5 or 6 paper towels nearby to drain the excess oil off. 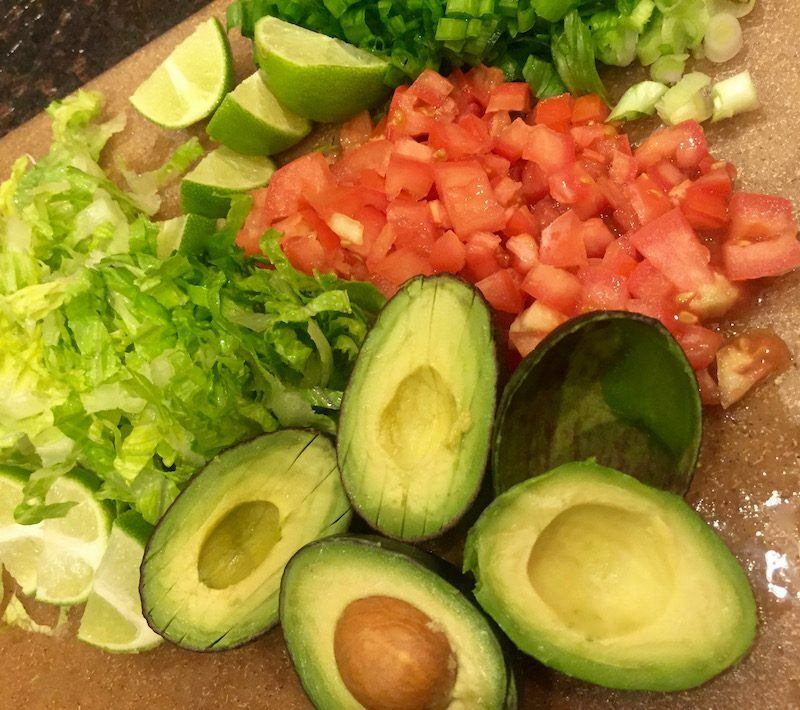 Wrap the tacos in the paper towel and turn them upside down to make sure the oil drains properly. … but I like to stuff mine with lots of fresh goodies! 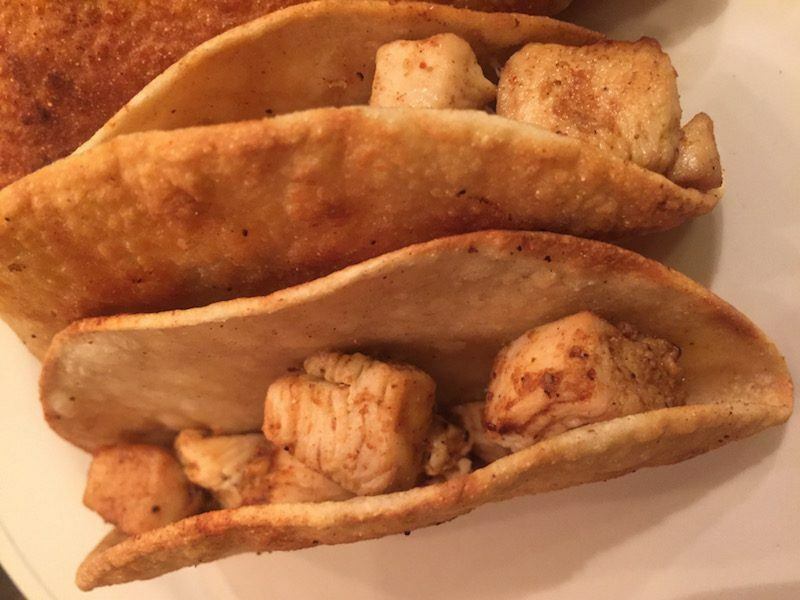 These tacos were a really big hit for my Taco Tuesday! My family and friends really enjoyed getting in the kitchen to help me cook them. I even created a taco assembly line so that the kids could pitch in which really excited them. Frying the tacos gives them a completely different flavor and I honestly prefer this method over others. I think I'll try roasting some of my favorite Summer veggies and using them in place of chicken next time. Sounds good, right?